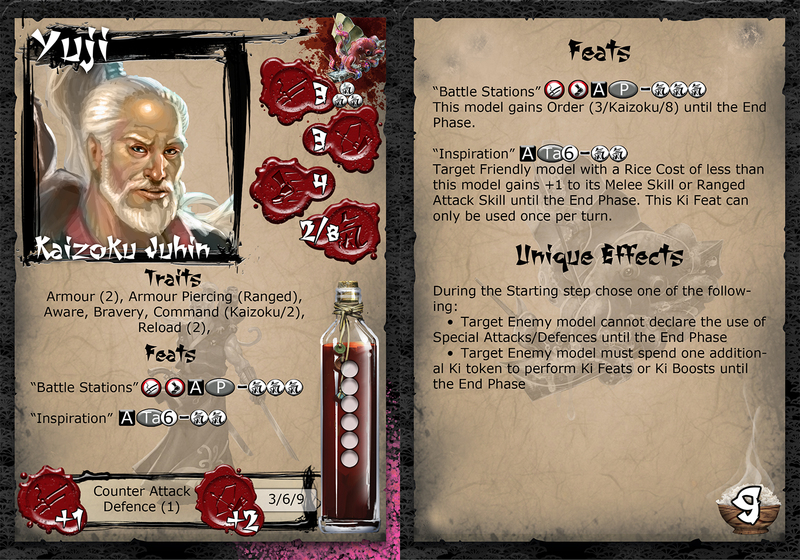 The Jung Pirates are a new faction that's coming to Bushido from GCT Studios. 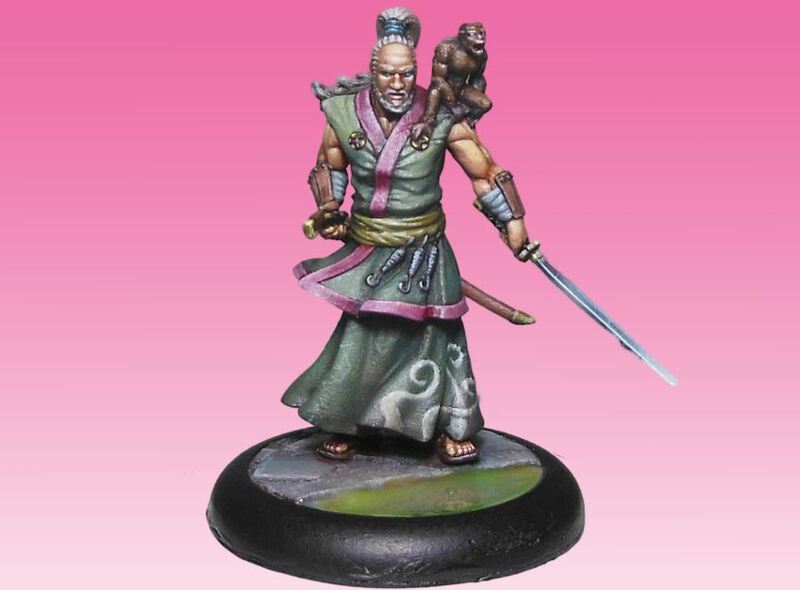 We've seen a preview of the starter set that will be available first at Gen Con in just over a month's time. They told us that they'll have more than just the starters there, and so they've posted up the first preview of another figure for the Jung. 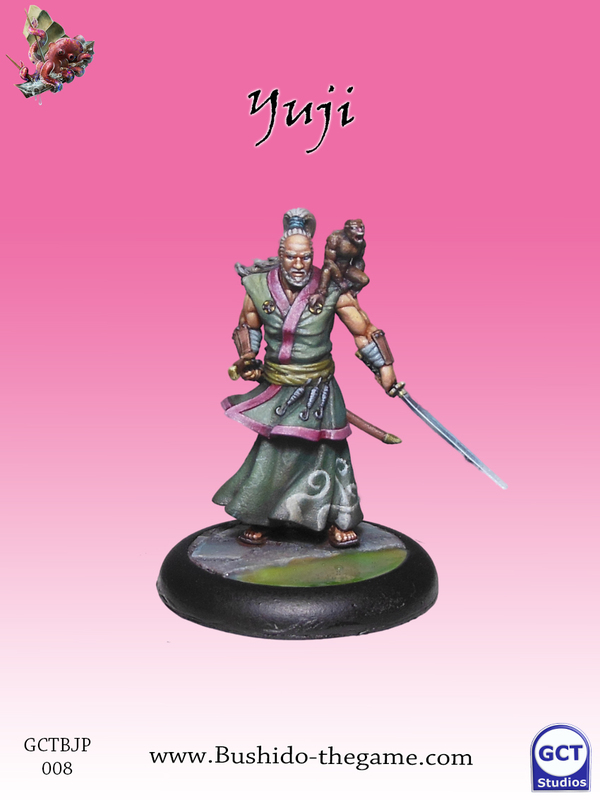 His names Yuji and he's got a monkey. Yuji, as you can see by his card, is a pretty tough customer. And I don't just mean that he has Armor (2). He also has a pretty good ranged attack, a couple good Ki Feats, one of which lets you command other Jung around. Then there's his special Trait that he can make it so your opponent can't declare special attacks/defenses this turn, or makes them spend extra for Ki feats and boost. Considering how precious Ki is in the game, that's a pretty strong ability.